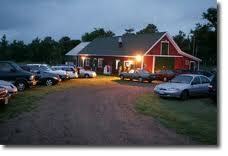 The Normaway Inn is an excellent location to take in some of the finest local talent on the Cabot Trail. Kyle Gillis, Dawn MacDonald, Helen MacDonald and Scott MacKenzie take to the stage at the Barn at the Normaway Inn in the Margaree Valley this evening, Friday September 13th. During the week, guests at the Normaway Inn can enjoy an excellent variety of local entertainment offered in the Normaway's Living Room. The Normaway Inn also an excellent Restaurant. While travelling around the Cabot Trail make sure to stop in at the Normaway and enjoy their Cape Breton hospitality.